The Nar Phu valley is a trek that consolidates remote towns of Nar and Phu, restricted gorge, stunning forests, astounding rock formations, yaks, Monasteries, Kang La Pass and one of a kind Himalayan society. You ought to have physical wellness to do this trek. This trek begins from Chamje following 9 hours driving from Kathmandu. We climb indistinguishable trail from Annapurna circuit trek. Subsequent to touching base at Koto, we traverse the Marsyangdi River to the precarious gateways of the Nar Phu valley is barely noticeable, yet although the passage is limited and forested, the valley framework above opens to an immense spread of high snow-tops, old villages, and high-height brushing settlements. Trekkers until late 2002, not many westerners have investigated these for all intents and purposes immaculate villages or climbed the numerous 7000m pinnacles encompassing it. We will wander into this remote area of Nar Phu valley. 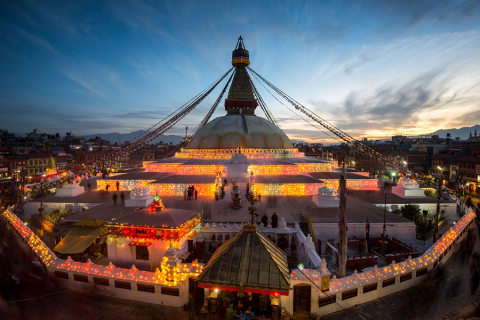 Buddhist explorers from around Nepal may go with us up to Phu to visit the famous Tashi Lhakhang Gompa and get a gift from Lama Karma Sonam Rimpoche. Alongside investing a lot of energy at these brilliant and ageless towns, we investigate the high snowcapped valleys above Phu. The Kang La (5320m) pass is astounding. We may appreciate mountains see like Annapurna II, Gangapurna, Tilicho top. You will trek down to Chame, Tal, and Chamje from where you can drive back to Kathmandu by open Jeep. On the off chance that you have time, you can likewise keep on Jomsom by means of Thorong La Pass. Day 03: Drive from Kathmandu – Besisahar - Chamje (1310meters, 9 hours driving). This day, you will drive in the first part of the day to Chamje by means of Besisahar. And afterward medium-term at Lodge. Day 04: Trek from Chamje to Dharapani (1920meters, 6 hours strolling). The day starts with the rough trail following the Marsyangdi River continuously tough to Tal at 1675m, the principal town in the Manang area. We make trails crossing a wide, level valley. The trail at that point climbs a stone stairway to 1860m until another stairway. The adventure keeps ups and downs to Dharapani at 1890m. There we locate a stone passage Chorten run of the mill of the Tibetan villages from here northwards. And after that medium-term at Lodge. Day 05: Trek from Dharapani to Koto (2600meters, 5 hours strolling). We see the main perspective on Annapurna II from Bagarchhap. With regularly harsh and rough ground, the trail ascensions to Timang at 2460m; we see delightful perspectives on Mt. Manaslu (8163m) and numerous other snowcapped tops. We at that point proceed through the woodland to Thanchok town at 2630m and Koto town. As we reach Chame, the central command of the Manang region, we are remunerated by the fine perspective on Annapurna II and Lamjung Himal. And after that medium-term at Lodge. Day 06: Trek from Koto to Meta (3570meters, 7-8 hours strolling). Today we pass restricted area of Narphu valley with pack lunch. Following the Nar Khola and greenery forests. The trail is gutsy with rough trail and the long stroll to Meta. It takes 8 hours strolling then remain medium-term at Lodge. Today we trek to Upper Chyaku and It is 3-4 hours gentle walk. The trail is slow up and downhill to Upper Chyaku village. And after that overnight at Lodge. Day 08: Trek from Upper Chyaku to Phu Village, Excursion Phu Village, and Monastery. Today we trek to Phu village and It is 4-5 hours walk by means of desert territory and a typical nearby village of Kyang village where their local peoples don't live entire months. The trail is slow up and downhill to Phu town. You can see heaps of Annapurna ranges. Rest of investigate the prevalent Tashi Gompa and around the towns. At that point remain medium-term at same Lodge. Day 09: Trek from Phu Village to Nar Phedi. Today we climb to Nar Phedi. It takes 6-7 hours strolling. 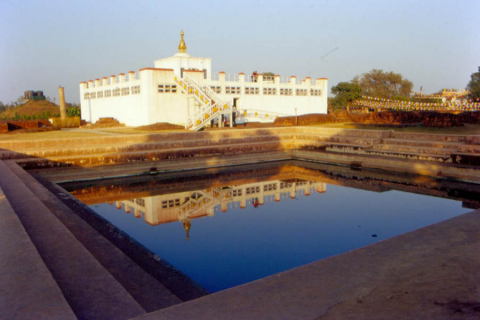 Remain medium-term at Monastery. Day 10: Trek from Nar Phedi to Nar Village (4150meters, 2-3 hours strolling). Trek slightly ascends to Nar village. It takes 3-4 hours strolling and rest of the investigate Nar village at that point remain medium-term at Lodge. Visit 4 religious’ communities of Nar Village at that point remain medium-term at same Lodge. Day 12: Trek from Nar - Kang La Pass 5320m to Ngawal (3675meters, 8-9 hours). Today is gutsy day and taxing day climb. So, we rise promptly in the first part of the day and head to Kang La pass. 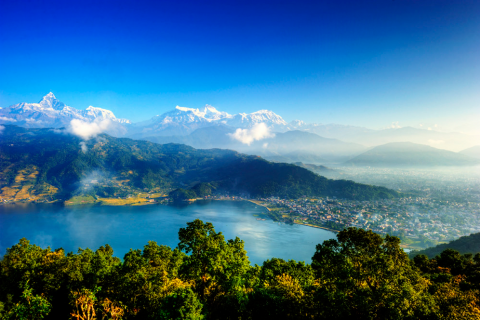 From the pass, you will see Annapurna massif, and Trek down to Ngawal 8/9 hours strolling and remain medium-term at Lodge. Day 13: Trek from Ngawal to Chame (2650meters, 7 hours strolling). Today, we trek back to Chame through Gyaru and Pisang town. It goes for 6 hours stroll. The trail is here and there. And after that medium-term at Lodge. Day 14: Trek from Chame to Tal (1700meters, 6 hours strolling). Today, we trek back to Chamje through Dharapani and Tal village. It goes for 6 hours stroll. The trail is all declining. And afterward medium-term at Lodge. Day 15: Trek from Tal to Chamje and drive to Besisahar. Today, you will trek from Tal to Chamje (1310 meters, 2 hours strolling) and drive to Besisahar by Jeep/Bus. And after that medium-term at chosen Hotel in Kathmandu. Day 16: Drive from Besisahar to Kathmandu. This day, you will drive from Besisahar to Kathmandu (6 hours’ drive), medium-term at Hotel. Best Travel Time: February to Maye, September – November are the best seasons for this trek. Dec & January are Winter and cold can be snow on the route, June, July & August are rainy time, trekking can be done but visibility can be poor due to rain.